I really wanted to like Slacker because it has some more obscure music that I can’t find on Spotify, Apple Music, etc, and I used to listen to it all the time back when it was AOL Radio, but there’s a number of problems with both the app and the service: 1. iOS password autofill is not supported, so you can’t use an automatically generated password. 2. Passwords are limited to 16 characters, which is absolutely insane in 2019. 3. While playing music to a Homepod, every 30 seconds or so the music will pause for no reason, requiring you to open the app and resume playing. 4. 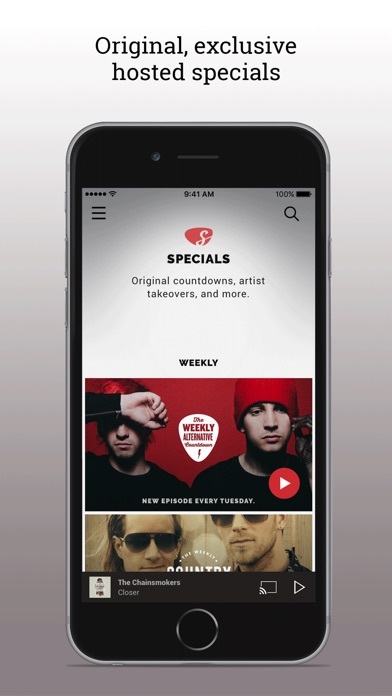 The play-on-demand and offline listening premium features exclude a lot of the content (including entire stations!) and this is not at all made obvious when signing up. Unfortunately, it seems most of the content unavailable for play-on-demand/offline is the same rare content that differentiates Slacker from other music services. Overall, because of issue #4 I cannot justify using Slacker over Spotify or Apple Music. And unfortunately because of issues #1-3 it’s barely usable even in the free version. I received an email from slacker linking to a site offering a discount for a plus membership that was advertising a product that is only available with a premium membership. That’s false advertising. I used to like slacker but that’s not right. The service is great; I love the integration of ABC news into my radio stations, and the price is fantastic. Please update the iPad app for the new 2018 iPad Pro and it will be a five star app. 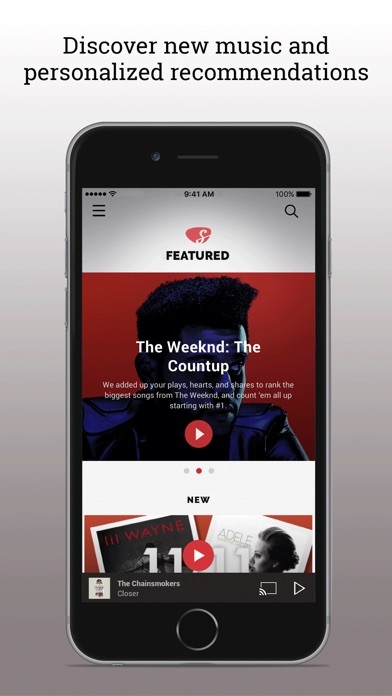 Slacker should be the best music streaming app based on their amazing stations and custom content. But the app is so deficient, coupled with not having enough content rights to download songs, that I can’t justify paying anymore. The fact that something so simple as viewing offline content by artist is impossible shows that they are either incompetent or hamstrung by copyrights that it’s hard to justify keeping their service. 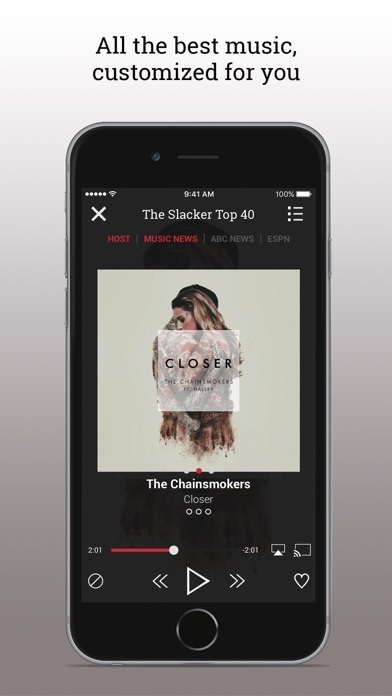 Slacker Radio is the answer to Pandora’s increasingly bad service. 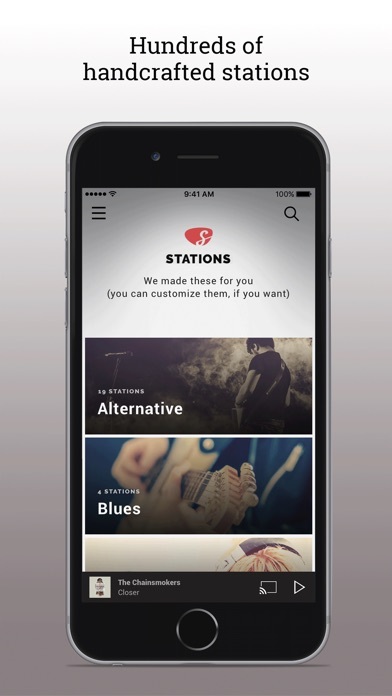 Like Pandora, Slacker Radio allows you to create custom radio stations with the ability to tell the station that you either like the current playing song or that you never want to play the current playing song again. 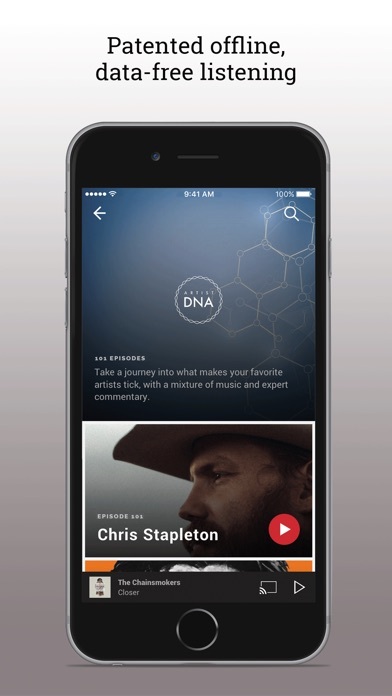 However, Slacker Radio is better at this kind of service because it allows you to listen to original recordings that are not censored and it has better quality audio. I have tried Pandora and even paid a monthly subscription, but Pandora does not play original uncensored recordings despite the fact that I turned on explicit content. Perhaps some priggish Pandora users somehow caused Pandora to ban all explicit content? Or perhaps Pandora’s algorithm is mistakingly interpreting that I somehow don’t like explicit content, despite the fact that I turned on explicit content? I’m happy that Slacker does not have this problem and that it plays original uncensored music with high quality sound. Thanks for the great music, Slacker Radio, and keep the free-spirited uncensored music going—unhindered by the moralism that has apparently infected Pandora. I used to love this app, but lately when I play my “favorites” station, it’s a bunch of songs I have never heard, and certainly never “hearted” them. Fix that issue, and I’ll go back to a 5 star rating. My mom & I have had this music app for about 8 years now & it’s my absolute favorite. We got rid of our premium account a few months ago to save money and that lasted 1 week.. premium is amazing. I love Slacker. I actually used it religiously about 10 years ago. It has always done a great job of mixing old and new with my custom stations. I left Slacker long ago when they made all the huge interface changes. I subscribed to Pandora and never really looked back. Fast forward to this week. I decide to see what’s going on with Slacker. Plus I wanted to see if my old stations had any gems I forgot about. I downloaded the app and connected it to my car stereo. The first thing I noticed was the sound quality was way better. Everything sounded more full than my pandora music. 2nd is that unlike pandora, my phone didn’t got into “accessory mode” making it hard to control it the way I want. 3rd was the interface looks great! Much better than the old blue colors of pandora. My only thing with it is why is it so hard to get to my custom stations? I couldn’t care less about the premade stations, I want to see a list of mine the moment I open the app. Instead I have to go to my music, then scroll around until I find custom stations. It should either be there from the get go or one tap away. Another bonus that I never thought I would like... djs and little snippets of news in between songs. They are short and informative and really make it feel like a premium radio station. Remember the old XM radio? It’s similar to that. Now XM has mindless bla bla bla in between songs. This is different and they nailed it.